The Land of Oak & Iron is a vast region rich in natural and industrial heritage and is right on the doorstep of some of the most populous parts of the North East. DAVID SIMPSON explores. Have you ever visited the Land of Oak & Iron? Perhaps you have without realising. This is after all a land covering around 177 km2 of North East England and features a wonderful wealth of ‘heritage, history, heroes and habitats’. Focused on the beautiful Derwent Valley this land encompasses parts of County Durham, Northumberland and the Borough of Gateshead and is a superb part of the region to relax and explore on foot or bike and all within easy reach of Tyneside and many of the most populous parts of the North East. 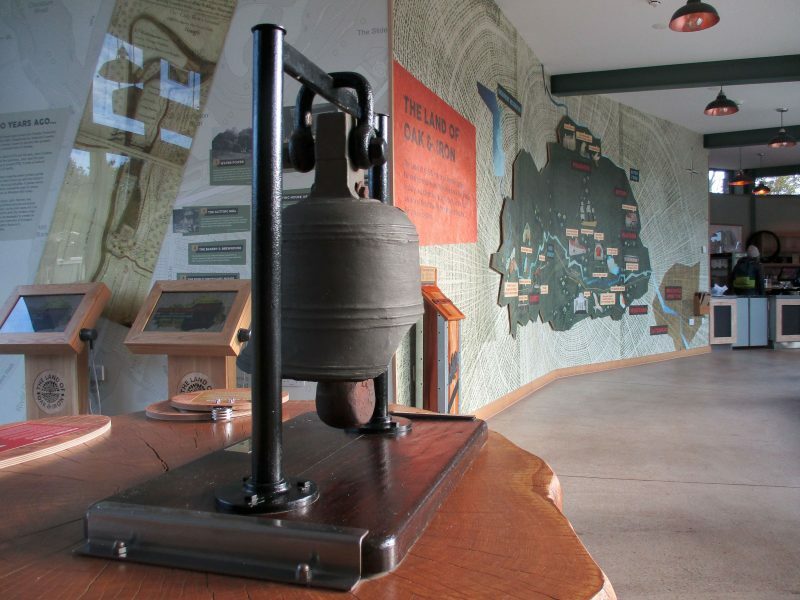 Recently we visited the plush new Land of Oak & Iron Heritage Centre and the adjoining independent café Shrub which are very easy to reach just off the A694 at Winlaton Mill between Consett and Gateshead. In the sunny Autumnal sunshine there were plenty of people enjoying good food in the café – much of which is sourced from North East producers, while others were trying their hand at wood-engraved print-making in the heritage centre, courtesy of visiting demonstrator, Shona Branigan of Salmon Jam Press. 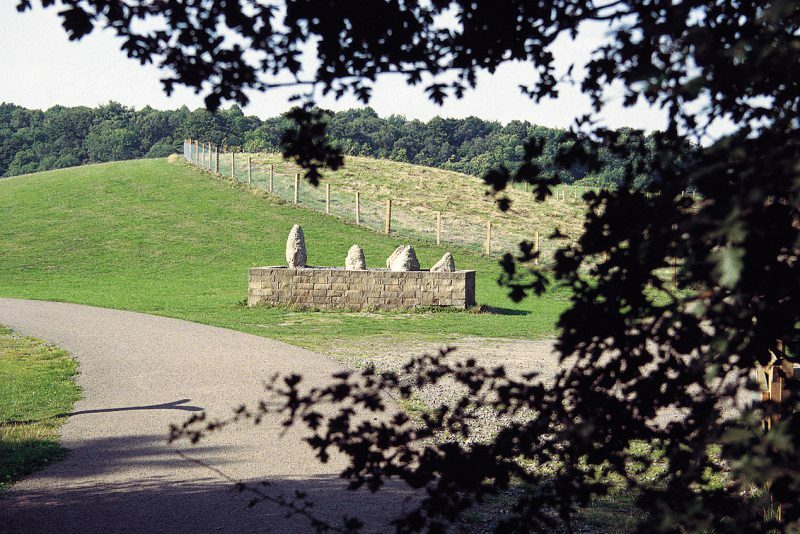 The centre and café look out onto the beautiful wooded Derwent Valley with its extensive network of pathways that are popular with cyclists, dog walkers and families out for a stroll. Formed as a landscape partnership, the Land of Oak & Iron is hosted by Groundwork NE & Cumbria and with £3.4 million of secured funding, is undertaking a programme of fourteen interconnected projects to conserve, enhance and encourage accessibility to the area’s unique cultural and natural assets. The developments began in 2016 and will continue all the way into 2020. The opening of the café and heritage centre in October 2018 has been an important milestone in these developments and the centre is a good starting point to explore the whole area. However it’s about much more than just one place. This is the heart of a region that stretches north west from the wooded valley of Allensford near Consett along the beautiful Derwent to where the little river joins the Tyne at Swalwell. From there the region stretches west along the Tyne to Cherryburn the one time home of famed eighteenth century engraver, Thomas Bewick. Bewick is just one of the many local heroes associated with the Land of Oak & Iron. Others include the fraternity of seventeenth century German sword makers who settled at Shotley Bridge; the renowned industrialist, Ambrose Crowley; the ‘Unhappy Countess’, Mary Eleanor Bowes of Gibside and the ‘pitman poet’ Tommy Armstrong. In terms of heritage, the landscape speaks for itself. Extensive woodland includes Chopwell Wood, Milkwellburn Wood and the Thornley Woodlands which are typical landscape features of the district. In fact in the old Brythonic tongue of the Celts, the name Derwent means ‘oak river’ and is testament to the long-established sylvan nature of the district. Improved access to woodland, encouraged through the work of Access & Woodlands Officer, Peter Downes, works to assist and support local owners of small woodlands and is another successful aspect of the Partnership’s work, bringing owners of adjoining woodlands together. 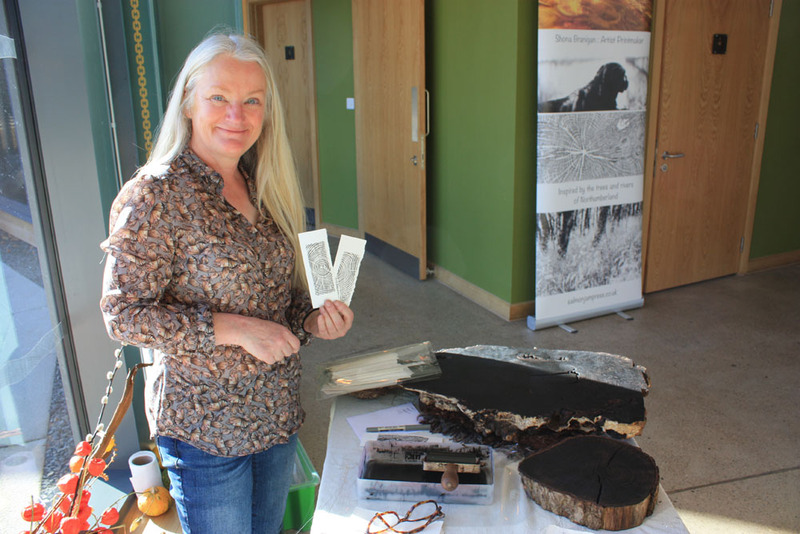 According to Kath Marshall-Ivens, Community Engagement Officer at Groundwork NE and Cumbria, the area covered by the partnership has a 13% woodland cover which is higher than the national and regional average. It includes a number of PAWS (Plantations on Ancient Woodland Sites), which are sites that were ancient woodland but have been replanted in more recent years. 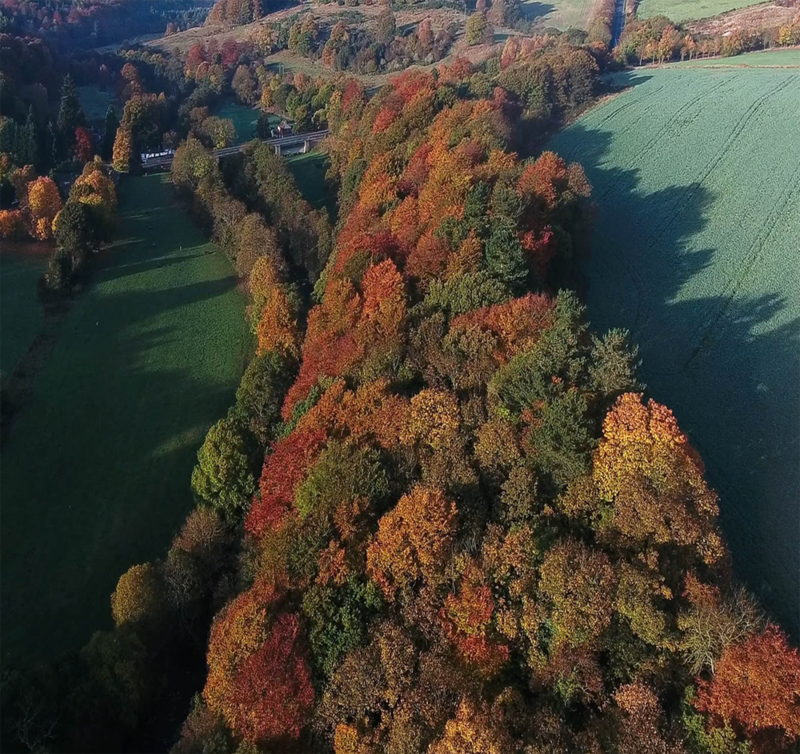 Ancient woodland is that which has existed continuously since 1600 or before. 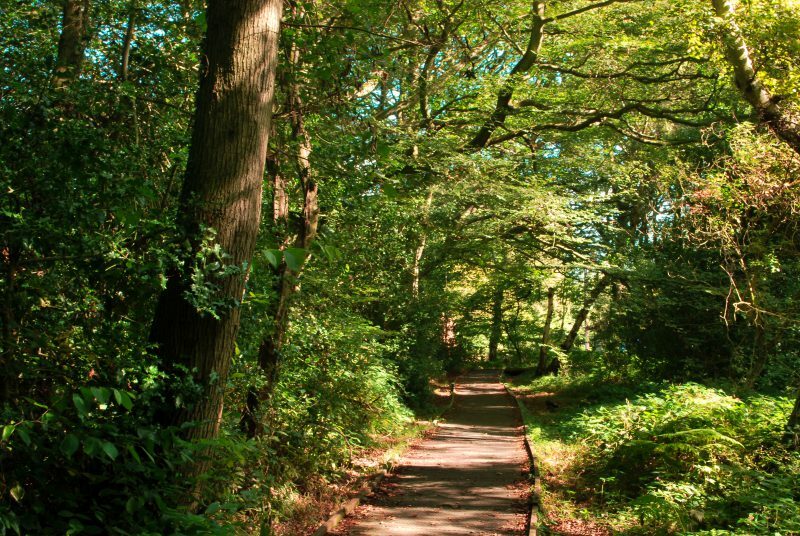 There are four country parks within the whole area, namely Derwent Walk, Derwenthaugh, Allensford, and Tyne Riverside and there are additional visitor centres at Thornley Woods and The Lodge Heritage Centre at Consett and Blackhill Park. The numerous landscape features and habitats across this beautiful region include wildflower meadows like Blaydon’s Shibdon Meadow which lies in close proximity to the MetroCentre, adjoining the Shibdon Ponds nature reserve. Further to the west near Prudhoe are the intriguingly named ‘Spetchells’ to the south of the Tyne which in the North East form a unique chalk meadow landscape created from the spoil heaps of a former chemical works that stood on the site. As well as interesting fauna the Spetchells form a special habitat for solitary mining bees. Industry has certainly played a role in shaping the landscape of the Land of Oak & Iron. The Derwent Walk pathway that forms the primary walking and cycling route through the whole area follows the course of a Victorian railway that linked the former iron town of Consett to Tyneside. Many of the smaller pathways of the network follow the routes of colliery wagonways some of which date back to the 1700s and 1600s. 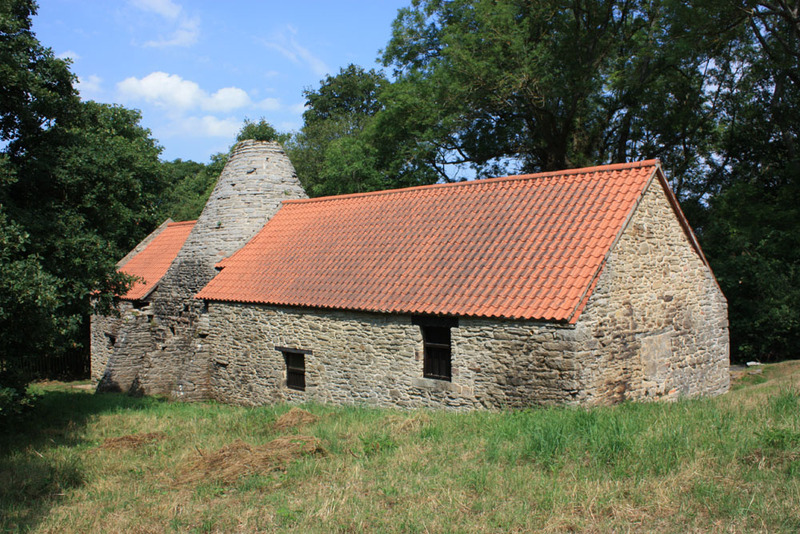 Major heritage features in the region are often reminders of its important links to the iron industry and include the early eighteenth century remains of Allensford Blast Furnace near Consett and the impressive Derwentcote Steel Furnace of the 1730s near Hamsterley Mill. We also have the rare and curious Whinfield Coke Ovens near Chopwell Wood, built by the owners of the Victoria Garesfield Colliery in the 1860s. Other heritage features within the Land of Oak & Iron include two major National Trust sites in the form of Thomas Bewick’s cottage at Cherryburn which stands in a splendid rural setting and of course the wonderful parkland of Gibside near Rowlands Gill including the magnificent Palladian chapel and much else besides. Somewhere between the two we have a major English Heritage site in the shape of the twelfth century Prudhoe Castle, reputedly the only castle in the North East never to have been captured by the Scots. 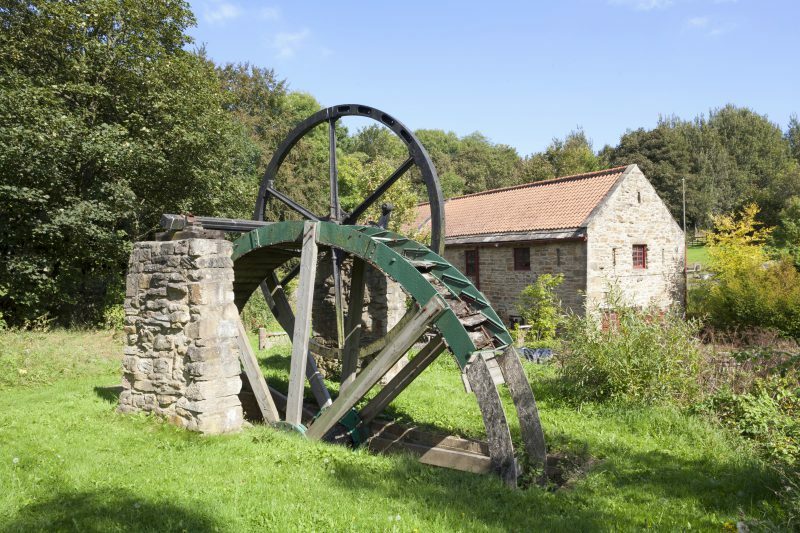 A lesser-known heritage site that forms a lovely independent attraction is the Path Head Water Mill, a restored operational water mill complete with a working water wheel and adjoining mill pond. Parts of the mill were salvaged from mills at Acomb and Guyzance in Northumberland and it forms a super attraction in lovely grounds near the valley of the Blaydon Burn. 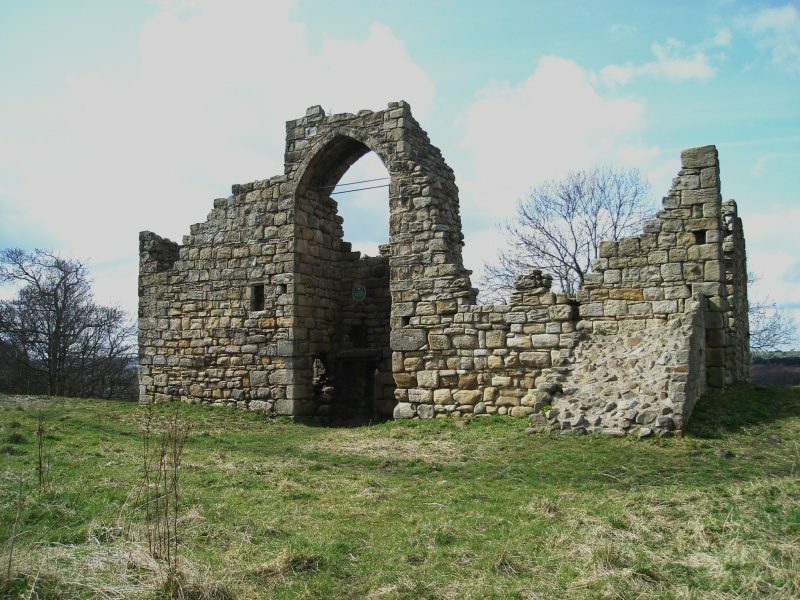 Perhaps a more surprising heritage feature of the Partnership area are the remains of the thirteenth century medieval manor house called Old Hollinside Manor near Whickham. It was known as the ‘Giant’s Castle’ because the men folk of the Harding family who once resided here were noted for being so tall in stature. The River Derwent and Tyne are of course an important aspect of the area’s cultural, industrial and natural heritage. In recent years improvements have been made to the Derwent as a habitat for fish and this has been one of the partnership’s most publicised projects. Salmon and Sea Trout can now migrate much further upstream to lay their eggs after the development of a rock pool fish pass at Lintzford, overseen by the Tyne Rivers Trust. Opened in November 2016, the new fish pass complements the existing 300 year old weir that had previously blocked the migration of the fish. Another fish pass will be created upstream at Shotley Grove and this will open up the whole river for spawning and have a positive impact on trout and salmon numbers in the valley and even out at sea. Towns such as Consett, Rowlands Gill, Ryton, Whickham, Blaydon and Prudhoe all lie within the Land of Oak & Iron as well as several smaller villages. The proximity of neighbouring Tyneside make this all the more important as a region of natural and industrial heritage in close proximity to so many thousands of people. Community involvement has been a major factor in the success of the Land of Oak & Iron Partnership and has included outreach programmes to local schools with sessions aimed at exploring the industrial and natural heritage of the area. Notable creations associated with links to schools include the composition of a song and also the creation of an orchestral piece both inspired by the landscape of the area. In addition there has been much work in partnership with Gateshead College aimed at engaging with the landscape, with projects including photography and work for building students in the conservation of the industrial heritage sites. Although the projects will be completed in 2020, the legacy and community involvement will continue far beyond with a ‘legacy group’ ensuring that the wonderful Land of Oak & Iron can be explored, enjoyed, understood and appreciated for many generations to come. Main Partners Land of Oak & Iron Partnership: County Durham Community Foundation; Durham County Council; Durham Wildlife Trust; English Heritage; Gateshead College; Groundwork NE and Cumbria; New Visions Heritage; Northumberland County Council; Tyne and Wear Building Preservation Trust; Tyne River Trust; The Woodland Trust. Other partner organisations include: Blaydon Youth and Community Centre; Friends of Chopwell Wood, Heritage Lottery Fund; Industrial Heritage Networks; Newcastle Gateshead Initiative and Visit County Durham. Have you visited the Land of Oak & Iron? Please tell us about your favourite places to visit in the district or anywhere else that you like to explore across the North East of England. Previous PostA Taste of the Med in the Heart of NewcastleNext PostGateshead : Still in Newcastle’s shadow?